When you want it all, Golfview Vacation Rentals (formerly Bear Run Falls at Golfview Resort) is the only obvious choice. Whether you prefer luxury, mountain décor or exceptional, modern furnishings; you’ll find just the right condo or log cabin in Pigeon Forge, TN located in the heart of all the fun. Every unit is fully furnished with a well-equipped kitchen. You can enjoy a leisurely breakfast in your room before walking across the street to Dollywood theme park, a tee time, or the other attractions in Pigeon Forge. Cabins & condos also offer standard washers and dryers, screened porches and optional Jacuzzi tubs, private balconies and hot tubs. You’ll find amenities designed to meet the needs of vacation and business travelers. With indoor and outdoor pools, hot tubs, picnic area with grill and more onsite, couples and families will find great ways to entertain themselves for hours on end. If you’re planning a wedding and need reception space, catering services, honeymoon suites and rooms in Pigeon Forge, condos & cabins from Golfview Vacation Rentals at Golfview Resort have a lot to offer. Booking a romantic weekend for two? 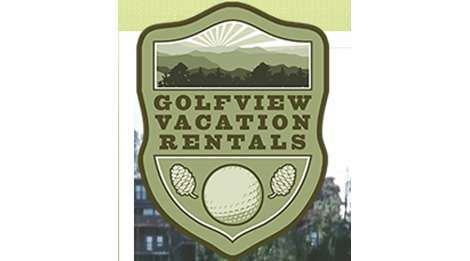 From free wireless Internet access to AV equipment, printing capabilities, catering and shuttle service, your event will be a complete success thanks to the pros at Golfview Vacation Rentals.